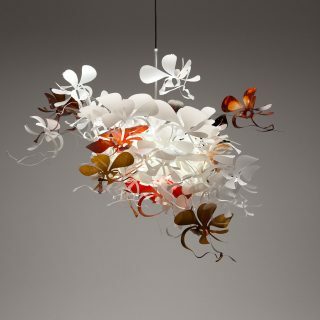 The female form inspired the Worvo pendant light. The words “weave” and “torso” inspired the name Worvo . A library of colours is kept ready for use, the poly carbonate strips are die cut and hand dyed in myriad’s of colours. 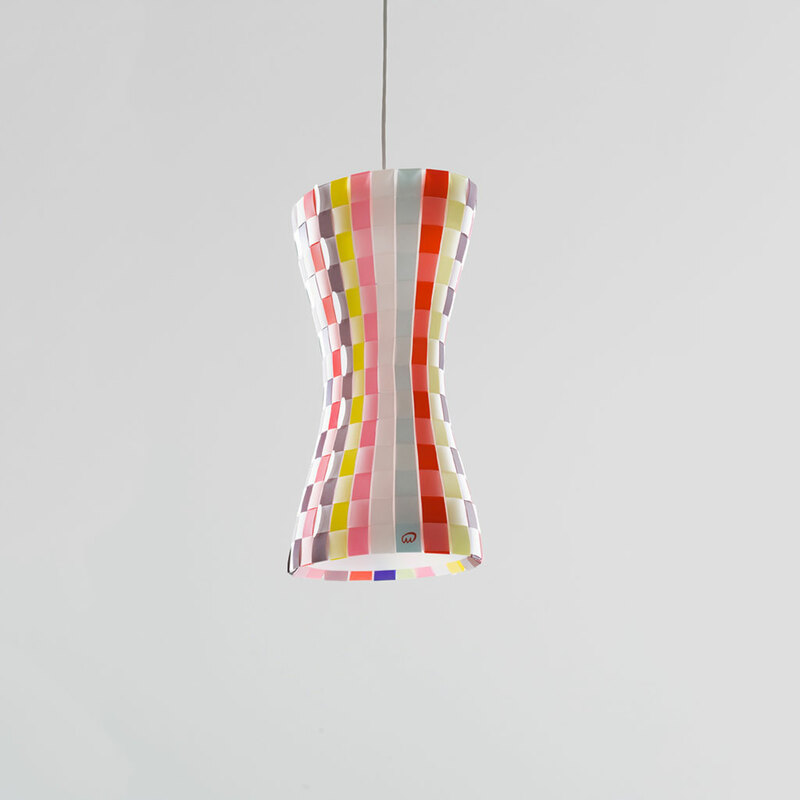 Each Worvo pendant light uses 24 vertical strips and 14 transparent horizontal strips. The horizontal strips are always transparent. 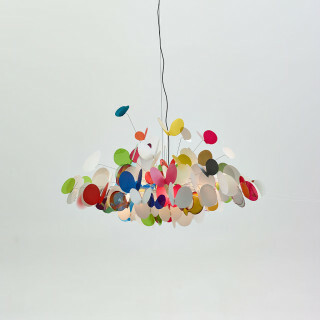 Each Worvo pendant is made to order to your colour preferences. You can specify the colours that compliment and harmonize with your interior, or contrast with it. 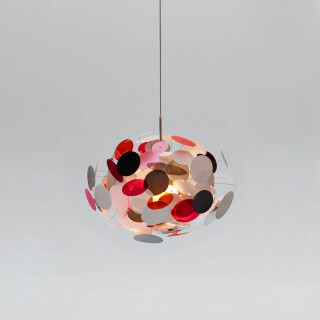 Each light is a collaboration between you and the Marc Pascal studio. You can use colour sparingly, or lavishly! create your own colour sequences that work for you. Classic white looks timeless. 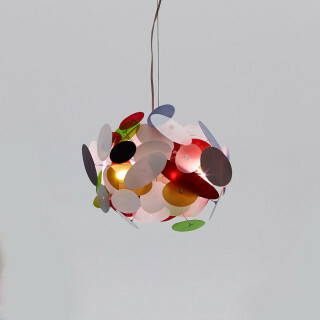 The Worvo pendant light is graceful and symmetrical.